Dr. Stachniak is a teaching physician on the faculty at Medtronic. Dr. Stachniak has been the primary investigator in several FDA research projects including an Artificial Cervical Disc Study, Prestige ST and a Trial Study on Bone Morphogenic Protein for Fusions. Dr. Stachniak participates in these studies to further advance spinal care in patients. The Brain and Spine Center of Texas is committed to providing technically superb, compassionate and timely surgical treatment of diseases affecting the nervous system. By conducting groundbreaking scientific research and incorporating it in our clinical services, our patients benefit from the most advanced neurosurgical techniques available. Our team of physicians, research specialists and healthcare associates is committed to discovering promising treatments in the laboratory, and then making them available to our patients. 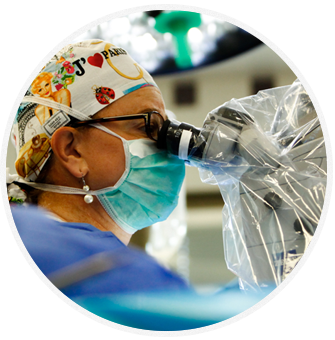 The medical staff at the Brain and Spine Center of Texas is trained in multiple aspects of neurosurgery in Plano TX. Dr. Stachniak, with her wide-ranging expertise and commitment to research, promotes a technologically advanced approach to patient care and evidence-based neurosurgical techniques. This approach provides solutions to complex neurosurgical problems -- and the best possible outcomes for our patients. Man learns to walk again after freak accident leaves him paralyzed from the neck down.